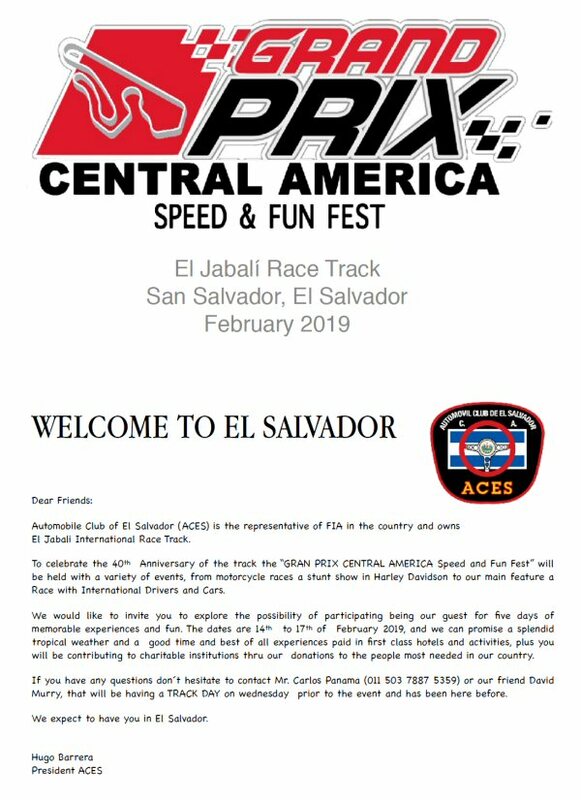 Carlos Panama and the ACES (Automobile Club of El Salvador) are closing in on the final preparation for the "Grand Prix Central America Speed & Fun Fest". The track activities and races are held at the El Jabali racetrack in San Salvador, February 14-17 but it's a week long time of fun for all. Carlos and the group will complimentary transport your car, provide air tickets for you and guest, and pick up lodging and dinners. It's an event for charity for the people of El Salvador in need.